After months of planning, organizing, creating inspirational beautiful art work and overcoming many challenges the big day is here! 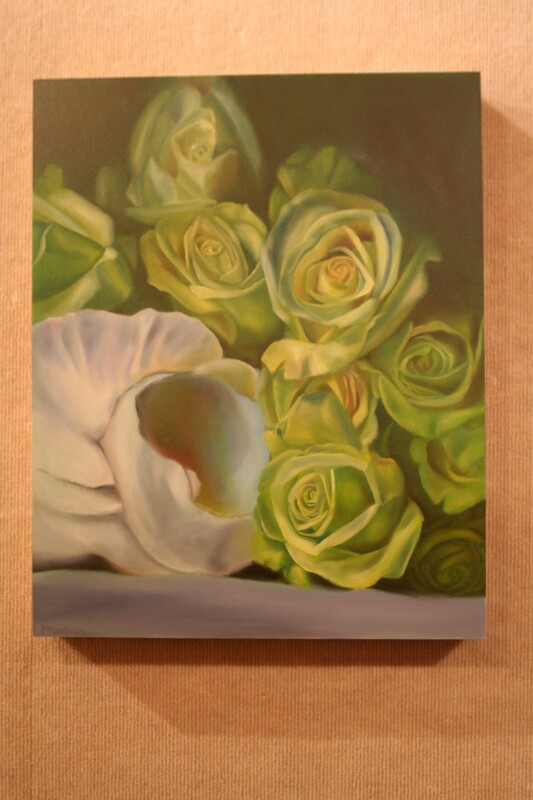 I’ve learned so much about painting with oils, creating a cohesive exhibit, marketing art and more importantly about where I want to go with my art. My focus has totally shifted and I now have a different perspective for my art and my skill levels. I learned that nothing is impossible! If you a dream, go for it! Not everyone will understand or even care, the great news is that you will find your best supporters when and where you least expect it! So, my friends I give you license to be creativity and reach for your dreams! Thank you, hugs and kisses to those that have been with me and supported me! Today I share with you pictures of what the gallery looks like with 19 new oil paintings on Gessobords and Artists Panels and 9 watercolors mounted on Ampersand Claybords. I love the products, museum quality enhances any exhibit! Enjoy, I hope to see you tonight at the opening reception! A few days late, but I finally was able to upload this image…Happy belated St. Patrick’s Day! 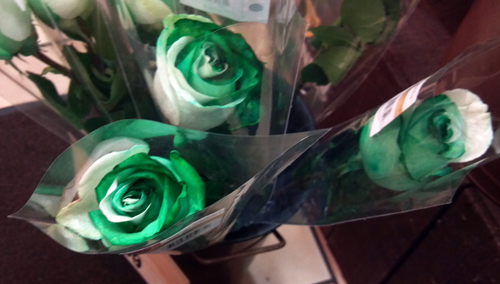 I found these beautiful green & white roses at Wegmans, thought you might enjoy them!